What Embargo Episode Diecisete - Cubanesque? 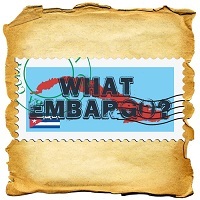 In "What Embargo? : Episode Diecisiete" Catfish is MIA in the bayou, so Tuna calls upon Cigar Coop to do a unique show. The two talk the term "Cubanesque." What does it mean to be Cubanesque? The two to over several brands in America and talk about what they believe to be close to the great Habano.